The announcement by Pope Francis that Vatican files relating to the pontificate of Pius XII during World War II will be made public next year, has rekindled interest in that Pope's controversial dealings with the Nazis. Pius had been criticised in many quarters for failing to publicly condemn the Nazis's extermination of Jews in direct, clear and unambiguous terms. In 1999, a major controversy resulted from the publication of the book Hitler's Pope, whose title seemed to suggest the pontiff was an admirer of, or colluded with, the Nazi dictator - though the author, John Cornwell, was more circumspect in the actual text of his book. While the opening of files will be eagerly awaited, there is evidence that on one occasion Pope Pius XII actively entered into an anti-Hitler conspiracy. Before the war and for a period after its outbreak in 1939, there was an active conspiracy within senior ranks of the German military to depose Hitler. General Ludwig Beck, the Wehrmacht chief of staff until 1938, took a leading part in the intrigue as did his successor, General Franz Halder. Also deeply involved was Hans Oster, the deputy head of the Abwehr, German military intelligence. Oster introduced into the conspiracy a Munich lawyer, Josef Muller, who had been an influential figure within the Bavarian People's Party (PVP), which was allied to the Catholic Centre Party, until their joint dissolution in 1933. Muller, who had become friendly with Eugenio Pacelli the future Pope, when he was Papal Nuncio to Bavaria after World War I, was to play a major role in an attempt to gain the Vatican's support for a plot to overthrow Hitler. In the early years of the Nazi regime, Muller represented the Catholic Church in Bavaria in legal cases concerning breeches of the 1933 German-Vatican Reichskonkordat. 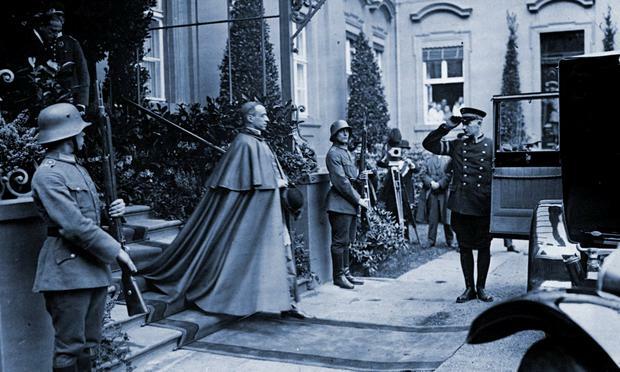 The Reichskonkordat had been the product of negotiations between Pacelli and German vice chancellor, Franz von Papen, and was intended by the Vatican to protect the practice of the Catholic religion in Germany. However, the Reichskonkordat neutered Catholic opposition to the Nazi regime as, under its terms, the hierarchy were obliged to swear an oath of loyalty to the Reich and the clergy were required to desist from all political activities. This contributed to the dissolution of Catholic political and many lay organisations. The treaty bolstered Hitler's prestige and many practicing Catholics, who previously under penalty of denial of the sacraments, had been prevented from joining the Nazi party, were then free to do so. The result was that the church was made to appear, at best, benignly neutral towards the regime. Despite the benefit of accruing to the Nazi Party, the provisions designed to protect the church were often ignored. Working on behalf of Cardinal Faulhaber, the Archbishop of Munich, Muller took responsibility for preparing reports of concordat violations for the Vatican. These included the suppression of Catholic publications, the expropriation of church properties and the arrest of priests who dared criticise the regime. Muller owned a small aeroplane which he flew to Rome on his regular visits. There he liaised with a Bavarian Jesuit, Robert Leiber, who acted as Pope Pius XII's personal secretary. When Oster recruited Muller into the anti-Hitler conspiracy, he made him a special Abwehr agent. Under this cover, Muller was able to travel to Rome more frequently carrying messages from the opposition within the Wehrmacht. The anti-Hitler plotters wanted to obtain some assurances from the British that peace terms would be on offer in the event of Hitler's overthrow. Surprisingly, the usually cautious Pontiff entered into this conspiracy and put his weight behind an appeal to the British to agree to negotiate a peace with the German opposition if and when they deposed Hitler. Muller, during his ongoing contacts with the Vatican, informed them about the impending German attack on France and the Low Countries. The Pope went so far as to convey this information to the Belgium and Dutch governments and personally told the British Ambassador to the Holy See of the threat to France in the sure knowledge that it would be passed on to Paris. However, the Germans intercepted a message from the Belgium Ambassador to his government, in which the date of the planned attack was revealed, thus alerting them to the existence of a spy operating at a senior level within the regime. 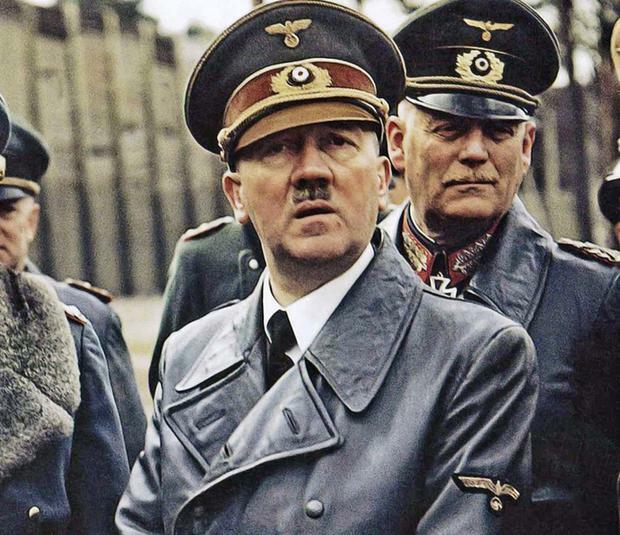 Hitler ordered an investigation into the matter - but this went nowhere when the Abwehr nominated Josef Muller, the chief culprit, to conduct the Rome aspect of the investigation. Notwithstanding the Pope's urging, the British were reluctant to offer any firm assurances to the plotters concerning their intended putsch. Previous events had made them suspicious of any representations from alleged oppositional generals. Nevertheless, some messages were exchanged and a one-page summary, typed on Vatican notepaper, containing a list of what the British would require of a new German regime was eventually produced, although possibly without the knowledge of the British, and circulated among sympathetic military leaders. But the generals failed to move against Hitler and, with the success of the Nazi blitzkrieg in France, Hitler's popularity in Germany soared, resulting in the opposition becoming dispirited and the plot dissolving. With the German invasion of the Soviet Union in 1941, Pius's approach returned to a more neutral stance. Pope Pius XII was never sympathetic to the Nazis, in fact he hated Hitler and abhorred Nazi racial theories. The fact that the Pontiff entered into an anti-Hitler conspiracy, one that endangered him personally, as well as the institutions of the church in Germany and Italy, makes a nonsense of him being 'Hitler's Pope'. For him the communists were an even greater threat. The Nazis, notwithstanding their assaults on the German church, had not, unlike the Soviets, publicly set it as their goal to destroy Christianity. Moreover, Pacelli had direct experience of communist rule. During the revolutionary upheavals in Germany in 1919, when the communists briefly held power in Munich, red troops entered his nunciature and put a gun to his head in their attempt, which he successfully resisted, to requisition his limousine. But 20 years later when Muller was acting as an emissary for the German opposition, Soviet Russia and Nazi Germany were effective allies as a result of the Molotov-Ribbentrop Pact. This helps to explain the Pope's actions in 1939-40. The Nazi-Communist alliance was Pius's worst nightmare come true. The Nazis' only saving grace, their role as a bulwark against Bolshevism, seemed to have been foregone. This changed everything: entering into a conspiracy to have Hitler supplanted by an anti-Bolshevik administration would have been worth almost any risk. Muller continued to conspire against the Nazi regime until he was arrested on April 5, 1943, after another Abwehr agent divulged that he had been seeking peace terms from the British. He was accused of using his role as a reserve Abwehr agent to conspire with the enemy, and although a military court acquitted him, he was immediately rearrested. After the conspiracy within high levels of the Abwehr was revealed in 1944, Muller was taken to be executed in Flossenburg Concentration Camp alongside other members of the opposition. However, he was reprieved at the last moment and taken instead to Dachau where he was integrated into a hostage group. After being rescued by US troops at the end of the war, he was taken with the other former hostages to Capri for questioning. There he requested he be taken to Rome so that he could demonstrate his claimed links to the Pope. The Americans agreed and he was flown there, accompanied by his assigned US intelligence officer. In the Vatican, the Pope greeted him warmly and granted him a lengthy private audience.